At North Shore Commercial Door, we're an authorized provider of Allstar gates and garage door openers. We carry a huge variety of Allstar garage door remotes, parts and more so you can find what you need quickly and easily. 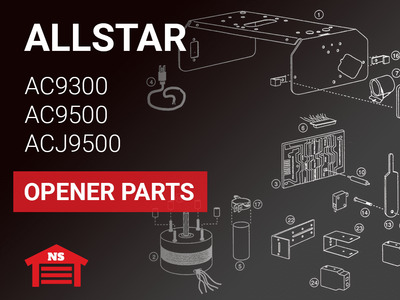 Many builders, homeowners and business owners consider us their one-stop shop for Allstar garage parts. 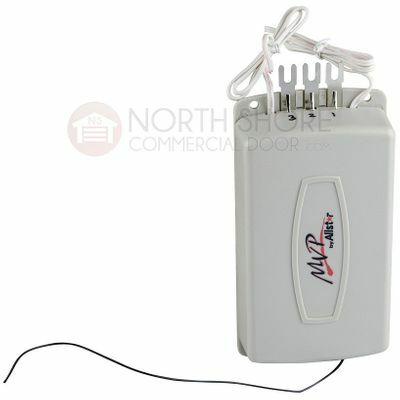 The Allstar garage door remotes in our catalog are designed to work with opener systems from most manufacturers; as long as the frequency listed matches your current system and you make the right choice between binary and trinary, the openers in our catalog should be a perfect complement to what you already have. Our comprehensive collection also includes Allstar keyless entry systems for garages and gates, receivers and Allstar garage door opener replacement parts. Each item we offer meets the highest manufacturing and performance standards, so you know you're getting the best when you shop with us. These high-quality, affordable pieces are ideal for use in any climate and for almost any purpose. 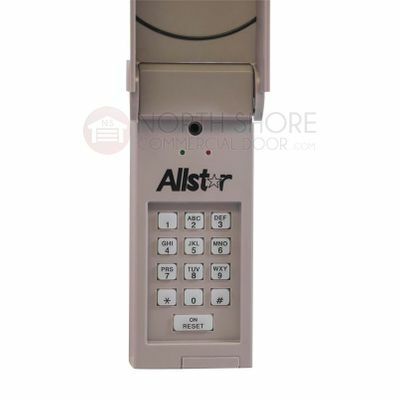 If you're unsure how to choose the proper Allstar remote for your system, just give us a call at 440-366-6112, or email support@northshorecommercialdoor.com.